Following the unfortunate cancellation of the Australian leg of their 25 Years Of Dysfunctional Family Abuse Tour, New Orleans road hounds, EYEHATEGOD, will take over California with seven recently booked matinee and evening assaults throughout San Diego, Santa Ana, Ventura and Los Angeles. 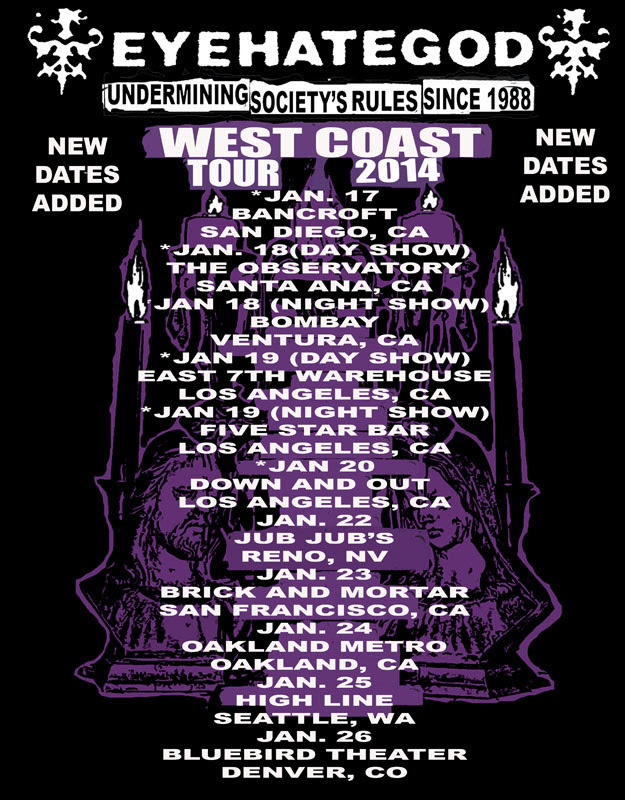 Now christened the Undermining Society’s Rules Since 1988 West Coast Tour, the late additions, which commenced yesterday, serve as a precursor to the band’s already announced live attacks on Reno, San Francisco, Oakland, Seattle and Denver next week. Can’t make your way West? Check out EYEHATEGOD’s guest appearance on the The Very “M.A.N.I.C.” Jimmy Cabbs Show this Sunday from 1:00pm – 4:00pm PST at THIS LOCATION. 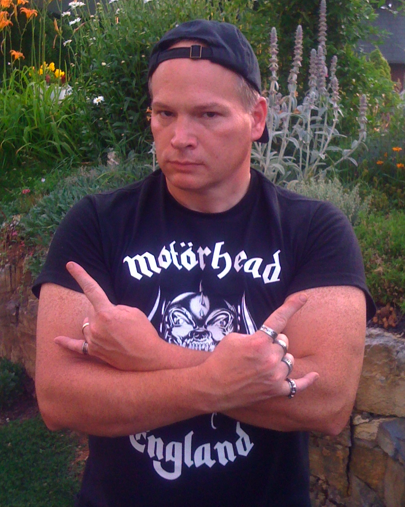 This entry was posted on January 18, 2014 at 8:30 am and is filed under Heavy Metal, Metal, metal bands, metal music, Music, news, rock music, rock music news, world news with tags eyehategod, eyehategod tour dates 2014, Metal, Metal News, metal odyssey, sludge metal. You can follow any responses to this entry through the RSS 2.0 feed. You can leave a response, or trackback from your own site.